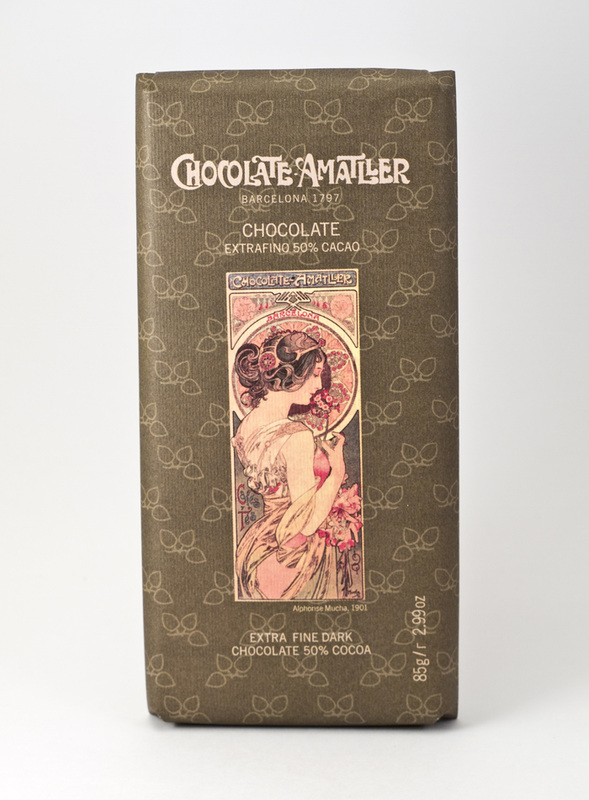 Made from Ghana cocoa beans, using a special method of selecting and roasting the cocoa to give a bittersweet chocolate that is offset by a background with notes of tobacco and coffee. 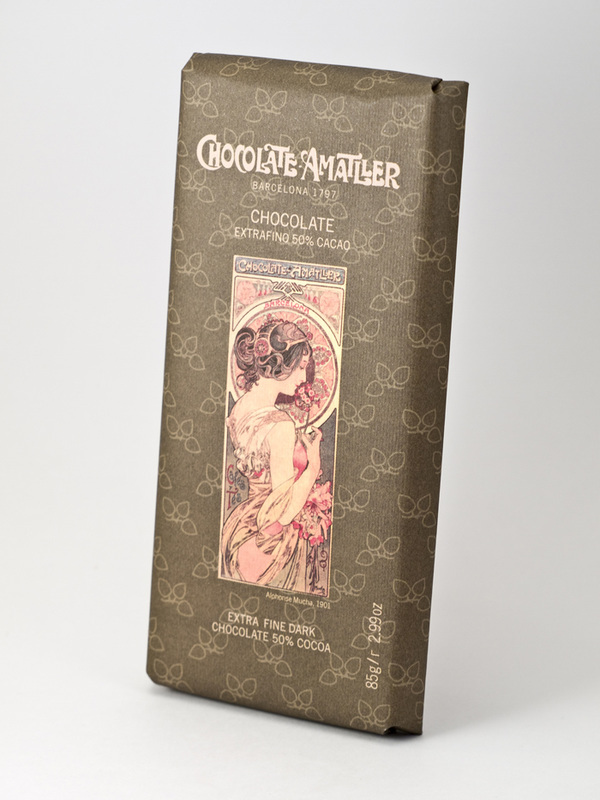 From AMATLLER Spanish Chocolatiers in Barcelona making chocolate since 1797. Amatller were famous for the art works commissioned to wrap their chocolate in. It is wrapped in paper inspired by the Art Nouveau era, illustrated with a promotional poster from 1901 that Alphonse Mucha designed for Amatller. Ingredients: Sugar, cocoa mass, cocoa butter, emulsifier (soya lecithin) and flavouring Cocoa Solids: 50% minimum. THE BEAUTY OF CHOCOLATE AMATLLER ADVERTISING | In contrast to today, advertisers in the 19th Century has only a small range of options to reach out to the general public. Posters and the written press were the main methods that brands used to get their messages across. As well as advertising the chocolate, the resulting images also helped to popularise art, to reflect the society of the time and even to influence popular thinking. 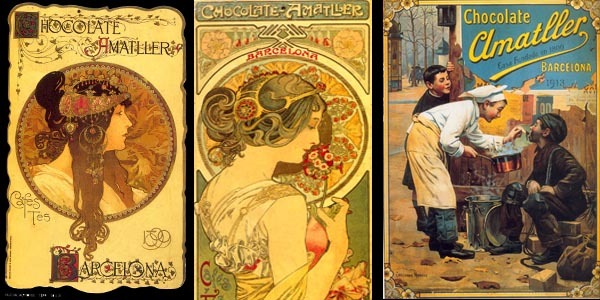 Chocolate Amatller created advertising posters for many decades, employing known artists such as Alphonse Mucha, Rafael de Penagos and JosepTriadó to illustrate them.